I am enthusiastic about dessert. While I am often happy with a simple warm cookie or single scoop of top-notch ice cream, sometimes I get in one of those moods where my desire to eat All The Desserts paralyzes my ability to choose just one. That’s where these yummy hybrids come in. Compound desserts, as they're called in the biz, bring together multiple individual desserts into one delectable creation. That means I can have it both (or all three) ways. So for those of us who have more than just a "sweet tooth," here are five over-the-top compound desserts to satiate all your sweet teeth. The Sinclair starts with one of my favorite ingredients (waffles) and uses one of my favorite cooking techniques (deep-frying). Then, just like a delicious donut, the waffle is dipped in glaze and chocolate – creating the WaffOnut! Then comes the sundae portion of the affair — dipping the just-coated WaffOnut in toppings like sprinkles, cinnamon sugar and coconut shavings, and topping it all off with ice cream and whipped cream. Before the ice cream component was added, the basic “WaffoNut” was a treat for the road that the kitchen staff gave to musicians who sold out the entire joint. Thankfully, a dessert so extravagant couldn’t stay reserved for long. Now it’s on the menu in sundae form. Did you know that there is a magical machine that takes a cupcake and puts a sizeable blob of cool, creamy soft-serve ice cream right there in the gosh-darn middle? My life got so much better once I discovered ShotCakes, located on the left side of the Burlington Mall’s food court. 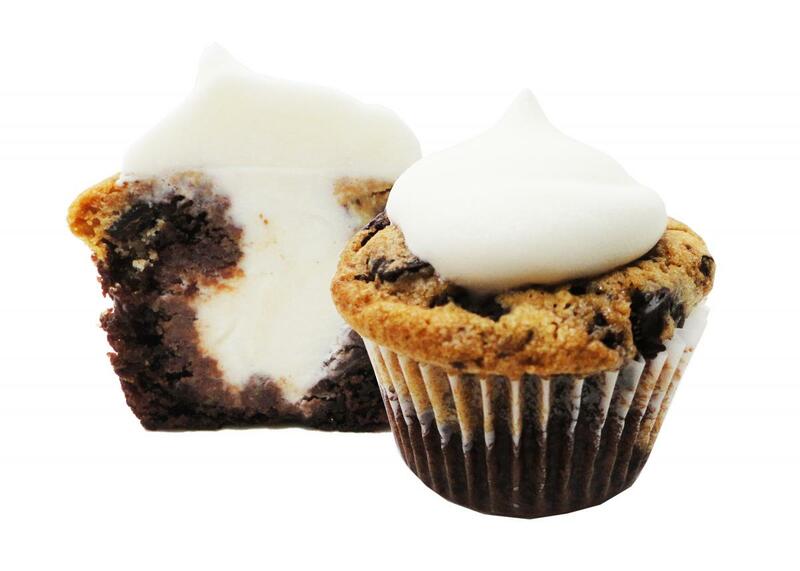 You get to choose your cupcake flavor and the flavor of ice cream that goes inside – and then toppings! My favorite cupcake-ice-cream flavor combos are the peanut butter cup, cookie dough and caramel turtle cupcakes, all with vanilla soft-serve. Pro tip: If variety is important to you, hit up ShotCakes for lunch-dessert rather than dinner-dessert, as the cupcake flavor offerings can diminish as the day goes on. The only aspect of camping that I ever enjoyed was the s’mores. Luckily for indoor-types like myself, the Outlook Kitchen & Bar at the Envoy Hotel has a gourmet version that I can eat while being statistically less likely to accidentally set my hair on fire. 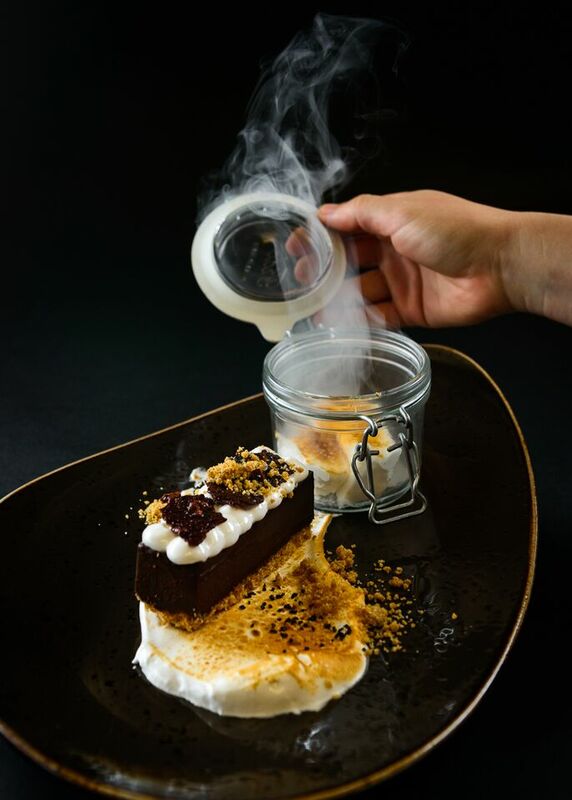 The decadent creation has dark chocolate ganache, graham cracker crust, toasted meringue, hazelnut lace, and house-made toasted marshmallow, with a jar of smoking toasted marshmallows on the side, for a full sensory experience. Ordinary ice cream trucks can step aside, because the Frozen Hoagies food truck is on the streets of Greater Boston — and now a storefront in Somerville as well — with ice cream AND cookies. 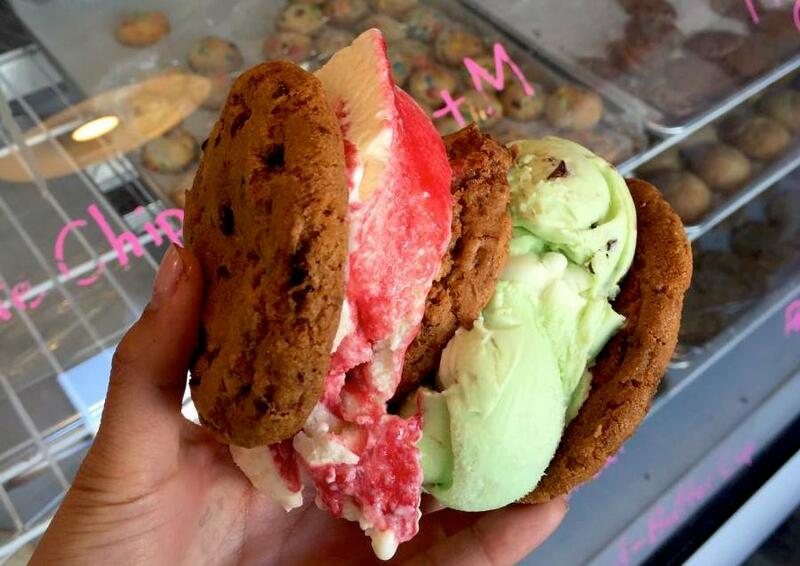 The idea is simple but mouthwatering: customizable ice cream cookie sandwiches. You select the cookies and your flavor of small-batch Chilly Cow ice cream, combined into one sizeable sandwich right there on the truck. (Did I mention that they also offer gluten-free cookies and vegan ice cream?) The Double-decker is exactly what it sounds like: your choice of amazing cookie + ice cream + second cookie + second ice cream flavor + third cookie. Choices, choices! Since food trucks occasionally have mechanical problems or cater special events, I recommend that you check the truck’s Twitter @FrozenHoagies before making a special trip. A longstanding beacon of glaze and dough on the New England culinary scene, Kane’s Donuts expanded from its Saugus location to add a shop in Boston’s Financial District, offering to the urban masses a sugar-rush alternative to the customary caffeine jolt. 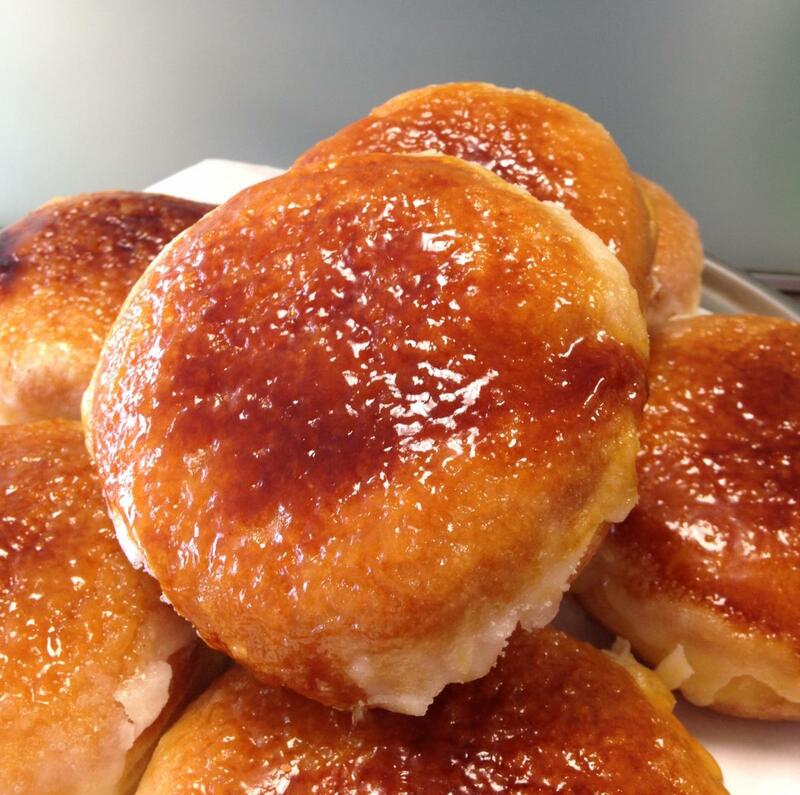 Amongst the many excellent options is the crème brûlée donut, which is exactly what it sounds like, and every bit as good as it sounds: a cake donut filled with vanilla-bean custard, dipped in local honey and caramelized by hand with a torch for that toasty-sugar crunch on the exterior.